The idea behind domestic robotic devices like robot vacuums is to liberate people from unpleasant daily chores and free up their time. 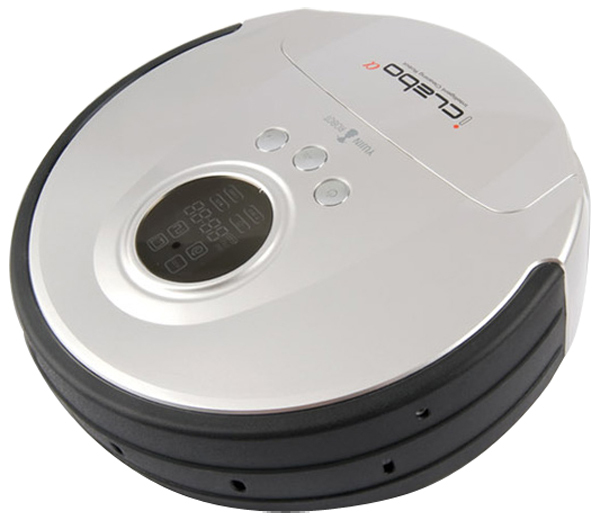 Vacuum-cleaning robots can be used not only for private homes but also for offices, stores, etc. Robot vacuums change the way we clean. Not certain which robot vacuum suits your needs? 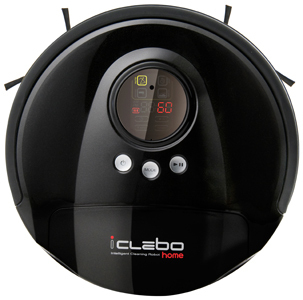 We introduces the iClebo Home Robot Vacuum. It comes with so many functions such as new floor detection sensor, scheduling, auto charging, various sensors, powerful Li-Ion batteries, 2 side brushes, removable front wheel, main brush & main brush cover, new wheel drive system and dust bin & 3 layer filtering system. 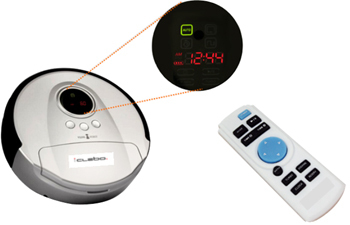 These important functions make it a unique product in home robot vacuums. The PSD (Position Sensitive Detector) sensor will help to calculate the exact distance of stair preventing it from falling down stairs but, making it able to go up and down small dropoffs. The PSD sensor will help exact calculation (robot includes 2 PSD sensors and 2 IR sensors for dropoffs). It also features auto-charging when the battery level is low while cleaning. This cleaning robot detects a docking station and charges itself. You can pre-set the daily cleaning time by setting the time once. Also, with the wide and much convenient digital display you can simply see the cleaning time, cleaning mode, pre-set time, error information etc. The 2 side brushes with 3 arms move dust to the center part of the robot for effective cleaning. The removable front wheel will make the front wheel easy to clean . This robot also includes a power control switch to save power and to reduce errors. The main brush is easy to replace and clean. The new wheel direct drive system reduces chances of wheel failure such as belt breakage and hair & strings wounding up around the wheels, it will also help keep the wheel motor driving power. With about 20 detection sensors, it can avoid wall or objects (chairs, vases etc.) 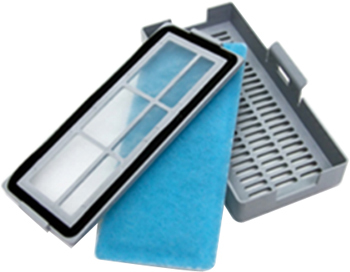 It recognizes all obstacles that are more than 13mm high and prevents falling down stairs. This product has one main brush, two side-brushes and a powerful vacuum. The side brushes bring particals to the center of the robot while the large rotating brush picks them up. The powerful vacuum takes care of smaller debris and dust. Empty the dust bin after use and wipe the main brush & side-brushes regularly. This robot also considers the health of your family with anti-bacterial filter / 3 layers filtering system.